Surface broadcasting of nitrogen (N) fertilizers has become popular to increase operational efficiency – increasing the speed of seeding and reducing risk of seed injury. But, in a dry spring with limited rain prospects, growers may choose not to till and avoid further drying out seedbeds. Then growers must consider the risks of nitrogen volatilization loss and take precautions when risk is high. Volatilization of ammonia (NH3) from urea or the urea portion of UAN (28-0-0) affected by several factors and can be increased under specific situations. 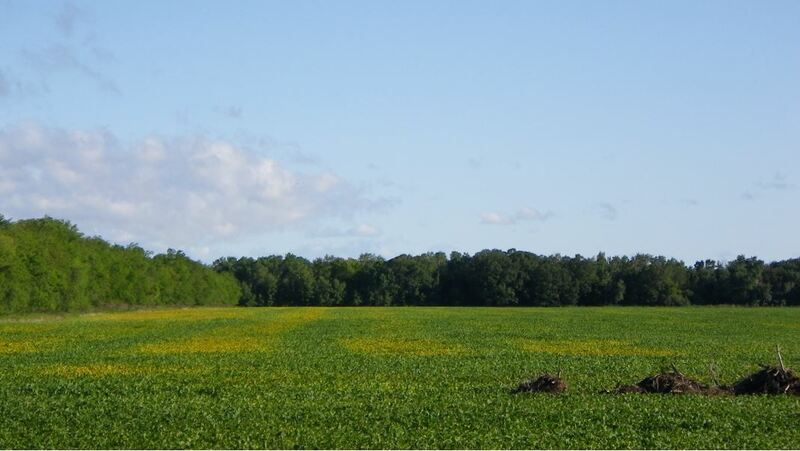 Can Sidebanded Nitrogen Cause Injury in a Dry Year? With a lack of seedbed moisture, there are justified concerns about seedplaced fertilizer injury to canola and other crops. How safe is sidebanded nitrogen? Research studies by Dr. Cindy Grant documented considerable canola stand thinning when high rates of sidebanded urea or UAN solution were applied. Agrotain (AT) served to reduce stand injury, but is no longer supported for this use by the manufacturer. Crop growth compensated for reduced stands and generally produced as good a yield as the Agrotain protected stands, except at the highest rate. Despite rainy and windy conditions, early post-emergent herbicide applications are nearing completion in most crops. Emergence of cool season annual weeds was relatively unaffected by earlier cool, dry conditions while emergence of warm season annual weeds was delayed, resulting in herbicide staging issues for some producers. Emergence of warm season annuals, like redroot pigweed and barnyard grass, is now well underway due to recent rainfall. Black nightshade (Solanum nigrum) is a warm season annual problematic in potato, dry bean and soybean production. What to look for: small seedlings with pointed ovate cotyledons, currently in the cotyledon to early true leaf stage (see picture submitted to MB Ag). Hairy galinsoga (Galinsoga quadriradiata) and smallflower galinsoga (Galinsoga parviflora) are annual species also referred to as ‘quickweed’ based on their ability to set seed within only weeks after emerging. What to look for: toothed, opposite leaves and ‘club’ shaped cotyledons (see picture submitted to MB Ag). Of the various goosefoot species coming in for identification, oak-leaved goosefoot (Chenopodium glaucum) has been the most common. What to look for: goosefoot shaped leaf, often with distinct yellow-green veins. Stems may be red and green to red. Typically grows more prostrate than lamb’s-quarters. Oak-leaved goosefoot does especially well in wet and/or saline areas. Manitoba Agriculture staff have begun to receive herbicide drift complaints and are providing advice accordingly. Talking to the applicator should always be the first step in a suspected drift incident. Herbicides involved in the drift complaints to date include glyphosate, group 2 and group 4 herbicides. You’ve probably read about media dubbed ‘superweeds’ like glyphosate-resistant palmer amaranth and giant ragweed. Glyphosate-resistant weeds often earn this distinction because they are viewed as a greater management hardship for producers than weeds resistant to other herbicide mechanisms of actions (MOAs). And maybe rightly so. Farmers dealing with glyphosate resistant weeds elsewhere in the world have been reduced to tillage and hand rouging for weed control in some crops. But, while glyphosate use dominates the Roundup Ready corn, soybean and/or cotton rotation in the US, group 2 herbicides play an (equally?) important role in our more diversified cropping system. 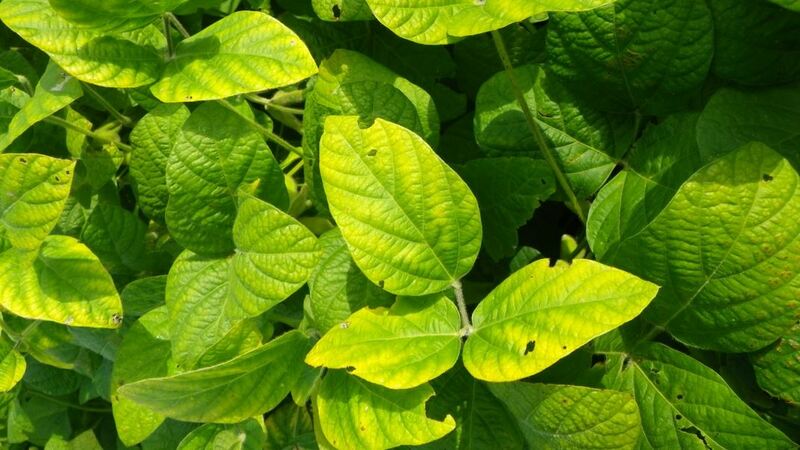 For example, group 2 herbicides are used in crops like alfalfa, corn, dry beans, field pea, potato, soybean, sunflower, and in Clearfield and other group 2-tolerant crops. These herbicides are also a popular choice for group 1-resistant grassy weed control in cereals. The point of this article isn’t to downplay the importance of glyphosate resistance but to elevate consideration of group 2 resistance. In Manitoba, over 10 weed species are known to have biotypes resistant to group 2 herbicides. And herbicide-resistant weed surveys led by AAFC indicate that the prevalence of certain species is increasing (Figure 1). Figure 1: Prevalence of group 2 resistance in Manitoba in 2003 and 2008 as a percent of the weed species population surveyed (Beckie et al). If you suspect group 2 resistance in a weed species on your farm, it’s best to verify this by herbicide-resistance testing. Unfortunately there‘s no quick method – seed from the suspect population needs to be allowed to mature and collected. Samples can be submitted to AgQuest for testing in Manitoba. In my opinion, knowing if you have group 2 resistance and assessing your risk factors is worth it. Because while glyphosate resistance is grabbing headlines, group 2 resistance may be quietly growing in your fields. If you chose a), you’d be right. Waterpod (Ellisia nyctelea L.) is an annual broadleaf plant native to Manitoba. It’s often found in shaded, wooded areas but can also thrive in ditches and agricultural fields. Our wet soils and cool spring must have provided ideal conditions for waterpod emergence as it’s being found in abundance in fields across the province. The good news is waterpod isn’t much of agricultural pest. Although it’s an annual, it emerges and flowers early and usually dies off in June. It’s also very susceptible to glyphosate and most other burn-off and post-emergent herbicides.